Dr. Shervington has an intersectional career in psychiatry and public mental health. 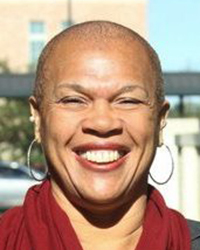 She is a Clinical Professor of Psychiatry at Tulane University School of Medicine and the President and CEO of the Institute for Women and Ethnic Studies (IWES), a community-based translational public health institute. At IWES, Dr. Shervington directs a federally funded trauma-informed Teenage Pregnancy Prevention Program as well as the community-based post-disaster mental health recovery division at that she created after Hurricane Katrina. At Tulane, Dr. Shervington provides psychotherapy supervision for Psychiatry residents. She has an illustrious career in public mental health and population health, with posts at the national, state and local level. She also has extensive clinical and community expertise in PTSD and trauma-informed response. Wright, D., Shervington, D., Powers, M. (2017). Beyond EBIs: a Social Emotional Decision Making Approach to Adolescent Sexuality Education. White paper. Institute for Women and Ethnic Studies (IWES). (2016). Creating a Trauma Informed Healing Prescriptive Workforce Development Program for Opportunity Youth. Richardson, L., Shervington, D., Walters-Wallace, C., Van Parys, R. (2016). Resilience and Resistance: Addressing Acute and Chronic Adversity in Communities of Color. White paper. Harris-DeBerry, K., Shervington, D., Govan, R. Crooked Room: Stories from New Orleans.